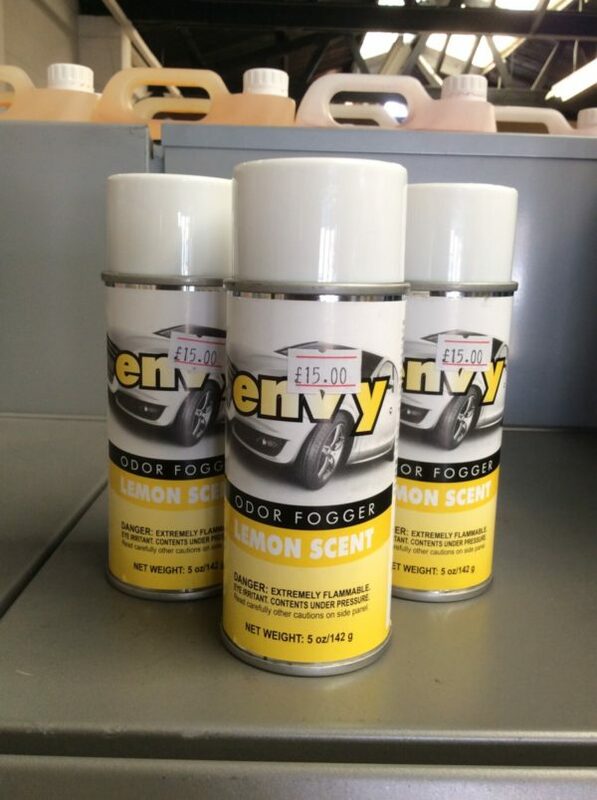 Odour Fogger – Lemon Scent. For use as a total release fogger. This can effectively deodorizes 6,000 cubic ft of space. For less than 6,000 cubic ft do not empty entire contents. Close doors and windows and turn off fans and air conditioners. Eliminate all ignition sources such as pilot lights etc. Place can on a raised surface. Spread paper under can to protect area directly underneath nozzle. Turn cap upside down and lock on – this will start the fogging action. For best results, leave treated space undisturbed for a minimum of one hour. After treatment allow to ventilate for at least 30 minutes.